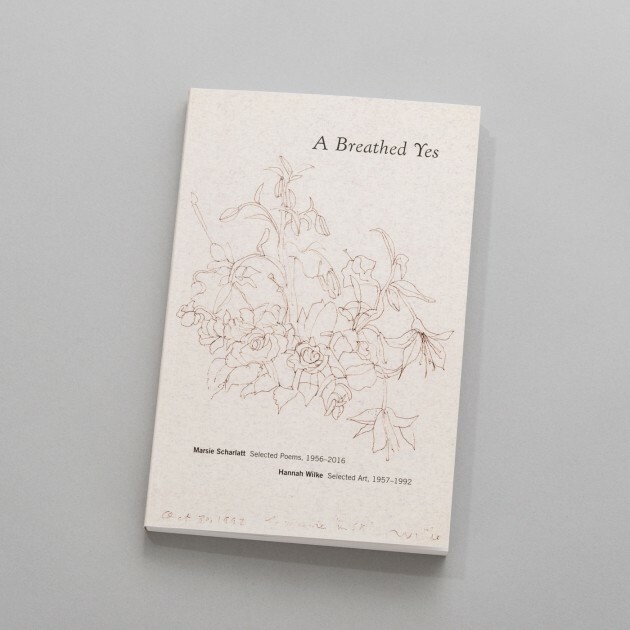 A Breathed Yes is a collaboration between the poet Marsie Scharlatt and her sister, the late feminist conceptual artist Hannah Wilke. Created posthumously, 24 years after Wilke's death, the book was proposed by Wilke in the mid-1970s and contains 51 selected poems written by Scharlatt between 1956 and 2016 and 36 selected images of oil, watercolor, charcoal, pastel, and pencil drawings that Wilke made from 1957 to 1992. With an Introduction by Marsie Scharlatt explaining the genesis of the book and describing the intersection of art and poetry in the sisters' lives, the poems touch on their relationship, parents, family, psychology, philosophy, love, and loss, and the art reveals some of Wilke's more personal work, largely unknown, and includes abstract work now in MoMA, New York, and MOCA L.A. Both poetry and art are evanescent with the deep connection between the sisters and the synchronicity in their lives.